Mellisa Taylor House | Historic Jacksonville, Inc.
Until 1888 a dwelling stood at the southwest corner of California and Oregon, now home to Las Palmas, Country Quilts, and the Jacksonville Review. 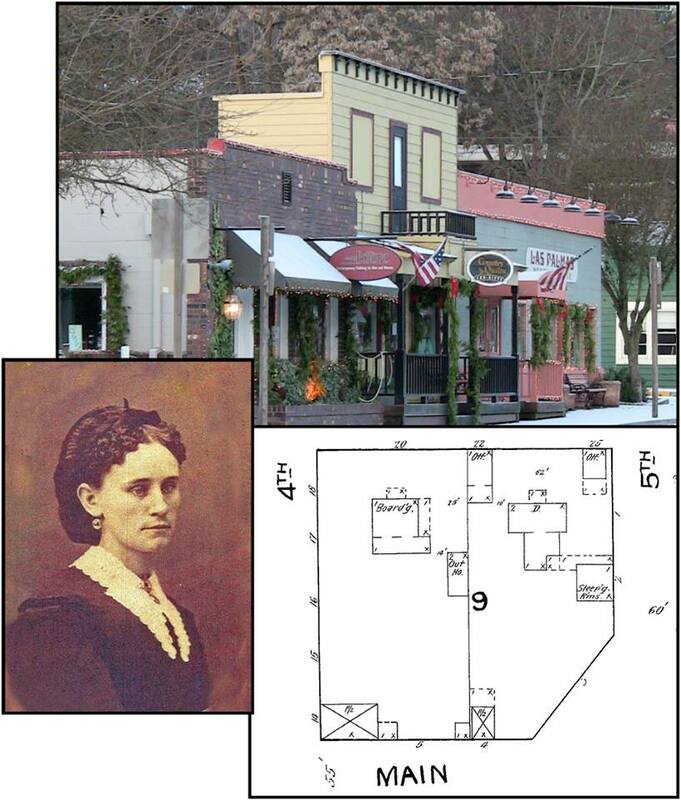 By 1890, Melissa Taylor had converted it into a boarding house, expanding the property over the next 20 years. Although she apparently sold it to the Abbott family after her husband’s death in 1908, a 1930’s Sanborn map still shows it as the Taylor House apartments. By 1953 it was operating as Lulu’s Café and Tavern which, according to a Jackson County Vice Report, offered “flagrant gambling on pinball machines…bootlegging illicit whiskey…[and] after hours harlots especially on Friday and Saturday nights.” The current cinderblock buildings, constructed in the 1950s, originally housed Jacksonville’s Pioneer Club and the town’s post office.